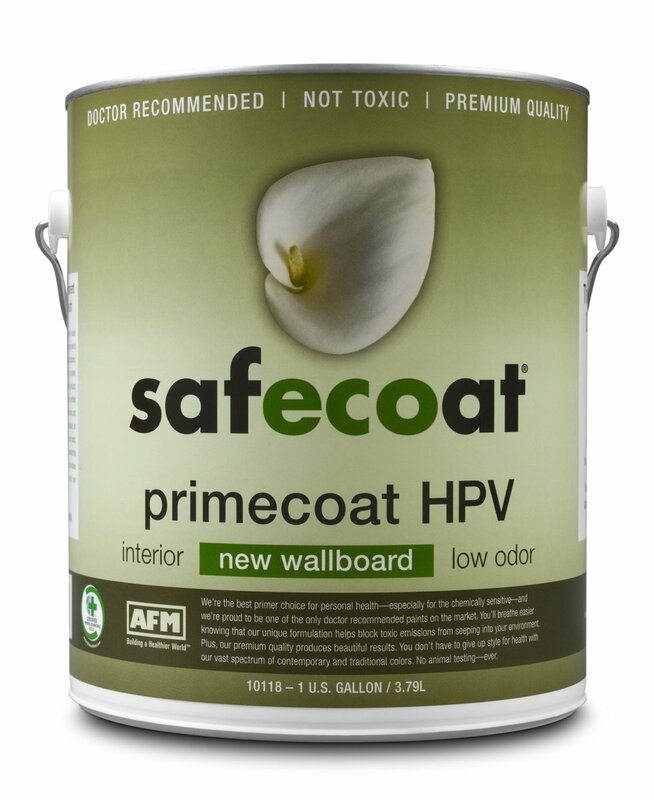 Safecoat New Wallboard Primecoat is a premium quality, fast curing, flat finish primer specially formulated to provide a superior prime coat over interior surfaces such as new gypsum wallboard and textured sheetrock. 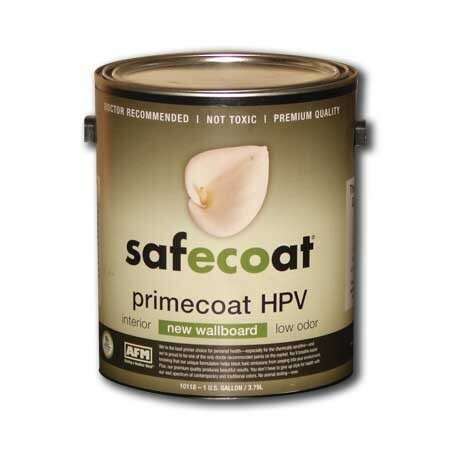 It equalizes the absorption rate of topcoat paints over a variety of surfaces with different porosities, and helps to eliminate decorating problems over textured sheetrock and tape joints on wallboard. Solves finishing problems such as “telegraphing” or “joint banding” by equalizing porosity and texture, filling voids left by today’s building materials, so that top coats cover more evenly. Available in gallons ($47) and 5 gallon buckets ($229).